Loggerhead sea turtles are nesting in good numbers along the beaches in Kissamos Bay. It is well known that sea turtles nest around the beaches of Greece, and there are projects running in a few parts of Crete, including Chania. Among interested Kissamos residents, little seemed to be known about sea turtles in the westernmost bay of Crete. But there is now plenty of evidence suggesting that sea turtles are present and nesting in good numbers in Kissamos too. 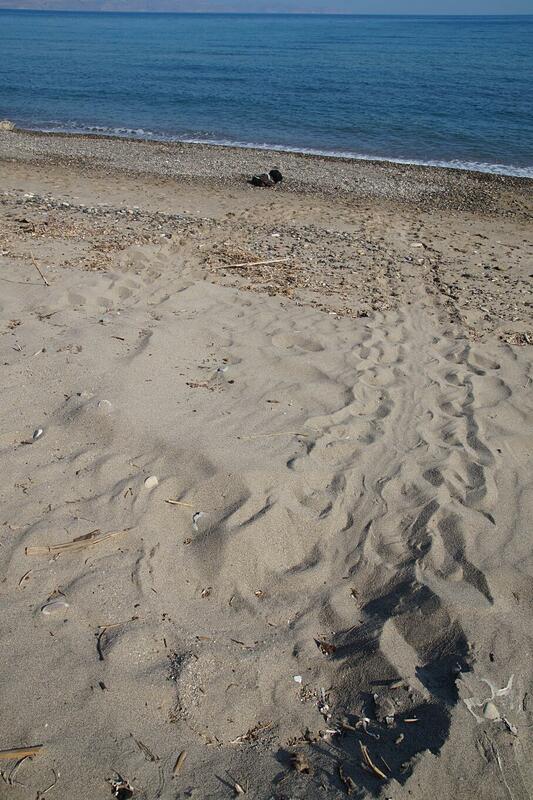 Turtle nests have been seen between Mythimna and Viglia beaches. Soon the first hatchlings should make it out to sea. Most of the Kissamos coastline has seen relatively little development, so turtles are safe for the moment.